The cafe is like any other Panera except there are no prices. Customers pay what they want and what's raised --minus expenses-- goes to charity. Or something like that. It doesn't really matter. Three things are clear to me. It's great marketing. A terrible business idea. And the philanthropic impact will be minimal. It's great marketing because as Edward Boches notes, it's well, everywhere, and the program is a great calling card for Panera when folks ask "what have you done in the community lately?" It's a terrible business idea because when the bloom is off the venture the cafe won't be able to sustain itself from customer donations, much less give back to causes. The cafe may become a venue for community programs, as Panera envisions, but a fully functioning Panera sustained on the goodwill of customer donations, with money left over to give back to causes? Sorry, Panera. This is one dough that will never rise. The second story was that Absolut is launching another city-themed vodka - this time Brooklyn - which will join New Orleans, Los Angeles, Vancouver and Boston. And like previous city-themed spirits, Absolut is making a donation to a local charity, $50,000 for affordable housing in Brooklyn. Absolut wouldn't be on its fifth city-inspired vodka if they weren't good for business. But they haven't been as great for the charities they support since New Orleans causes got a $2 million windfall from Absolut. The next city vodka, L. A., got a fraction of that amount. The Charles River Conservancy in Boston got $50,000. While the marketing for these city-themed vodkas began promisingly, they never evolved beyond a flat donation to a good cause. The lesson here for cause marketers is that we have to carefully balance philanthropy, marketing and business in the programs we create. If we overweight philanthropy we may miss the real opportunity corporate partnerships offer. Just think if U2's Bono had been blinded by philanthropy when he first solicited companies to support Product RED. He would have accepted their checks, which many offered, instead of signing cause marketing pacts, which raised millions more and established RED as leading philanthropic brand. If we underweight philanthropy, companies run the risk of putting marketing first and reducing philanthropy to "go away" money that gives them a cheap halo that everyone knows the company didn't earn. If you underweight the business component you rob the program of its ability to leverage market forces for good. That's exactly what's wrong with the Panera venture. Panera can best serve nonprofits by leveraging their company "as is" to support nonprofits. I see Paneras in Greater Boston do this everyday with tremendous results. The fact that Panera is a for-profit is a good thing for nonprofits. But their "Community Cafe" is too much of a good thing. But what if you throw off the balance by adding too much business, instead of too little? You blind yourself to the greater good. Even when the philanthropy is in the millions and the marketing even more, and seemingly well intentioned, people see it for what it is: a dumb ploy to sell more buckets of fried chicken that ultimately do more harm than good. Are Nonprofits Ready for the End of Corporate Philanthropy? Boston's own Scott Beaudoin, who's also MS&L Worldwide's North America director of CSR and cause marketing, asked in PRWeek Insider's blog last week is this "The End of Corporate Philanthropy?" What Peter and Scott are in favor of are "social investments that are aligned with the business." Like it or not, this is the future of corporate giving for businesses large and small. Of course, this won't be "giving" at all but rather strategic social investing. And the timing is right for several reasons. With the drumbeat of earnings and ROI stronger than ever, companies can no longer fund generous philanthropy programs. Investment in causes, not giving, must be the mainstay if companies are to continue to play a meaningful role in addressing societal issues. Thoughtful consumers get it. As Scott notes, "Research shows today's stakeholders understand that companies need to be profitable but also believe they can be purposeful and profitable at the same time." To engage more small and medium size businesses with causes, partnerships need to be win-win as only the biggest companies can afford big budgets for philanthropy. Reading Peter's remarks and Scott's post made me smile because a corporate culture focused on bottom-line benefits for both partners is my reality every day. Nestle SA has had the luxury and, thankfully, the desire to be philanthropic without the worry about the ROI on corporate giving. The restaurant chain I work with may share Nestle's generous instincts but it lacks their capacity. Interestingly, I've noticed that it's when a business is most focused on benefiting from a partnership with my nonprofit that they do the most good for my cause. But the shift away from corporate philanthropy won't be easy for nonprofits. Going from receiving generous handouts to having to work for your food will take a bit of getting used to. Here are three ways nonprofits can begin the shift away from corporate philanthropy. Embrace the brave new world. Nonprofits shouldn't feel guilty that they have to engage businesses as, well, businesses and not donors. Remember, companies still want to make a difference, but they want to help you and society while they help themselves. Think win-win-win. Make it easy for companies. Don't make them feel guilty that they used to give you money and now they make you work for it. Don't wait for them to tell YOU they need more from their partnership with you. Connect the dots so they don't have to. Create opportunities and programs that are tailored for companies (which leads to my next point). Start a cause marketing program. The essence of cause marketing is mutual benefit. Whether you use pinups, percentage-of-sale, licensing, cause promotion, etc. cause marketing will help reduce your dependence on corporate giving and give businesses a new way to work with you that is grounded in win-win. Long live corporate philanthropy. It's a little absurd to think that corporate philanthropy will just disappear. Walmart just gave $2 billion to fight hunger this past week (although I'm sure hunger causes resonate with Walmart's core customers so there is a strategic component to the gift). Will it be reduced? Sure, perhaps a lot. But it will always be there in some form so don't throw away your tin can just yet. But a world with less corporate philanthropy is here. The challenge for nonprofits is to adapt to the new reality. What seems like the end of corporate philanthropy will actually be a new beginning of opportunity for nonprofits that are up for the challenge. End or beginning. Which one will your nonprofit choose? Having escaped the bonds of traditional philanthropy, cause marketers set forth for the land of milk and honey. During their journey, a tribe among the cause marketers, called Komen, made a great golden [deep-fried] chicken and they worshiped it. Everyone got really pissed. And they complained of the golden chicken. To avoid ever having another stupid golden chicken, the cause marketers agreed to these 10 commandments of cause marketing. #1 You shall know what cause marketing is. You can use my definition of cause marketing, but I point you to others. Be sure to read the comments to my post as well. #2 You shall not confuse cause marketing with philanthropy, sponsorship or corporate social responsibility. While cause marketing certainly involves giving, philanthropy is not the primary goal. Marketing is. Sponsorship is very similar to cause marketing, but what distinguishes the two are the tactics they employ. I'm not totally sure what CSR is, but it's not cause marketing. What I do know is the former is a strategy that can employ cause marketing as a tactic. Calling cause marketing CSR is like calling a savings account an investment strategy. #3 You shall choose your cause marketing partners carefully. As we learned from Komen and KFC, not all cause marketing partners are a good fit. Consider carefully with whom you partner or you just might do more harm than good. Take a cause marketer's Hippocratic Oath: "Do no harm." Don't harm your organization, the constituents you serve or your trusted partner. #4 You shall create cause marketing programs that are win-win. The essence of cause marketing is mutual benefit. Just as nonprofits hope to increase visibility and raise money, for-profits aspire to enhance favorability with consumers and, ultimately, drive sales. If it's not win-win, it doesn't work. And it's not cause marketing. #5 You shall act like a business person, with a conscience. Cause marketing exists at the intersection of philanthropy, business and marketing. You have to be innovative, results driven and customer-focused like a business person, but giving, human and humane like a philanthropist. 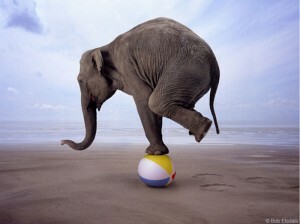 A cause marketer must balance herself between value and values. #6 You shall not limit the benefits of cause marketing to money. Cause marketing is a great way to build your brand, increase your visibility, promote your events, recruit participants for your cause walk, run or ride and identify prospects for major gifts. The list goes on and on. #7 You shall make your cause marketing program transparent for all to see. Consumers aren't fools. When they support a cause marketing promotion, identify the cause that's getting the money, how much they will receive and a quick blurb on how they will use it. "For every (RED) beverage purchased at Starbucks, five cents will be donated to buy lifesaving medicines for those living with HIV in Africa." Don't hide your giving behind "A portion of the proceeds will be donated to organizations that fight breast cancer." #8 You shall not expect results overnight. It takes time to build a successful cause marketing program. Most begin with an existing company or corporate leader that you've already worked with. Once you have the credibility of a couple successful programs behind you, it will be easier to create partnerships with new businesses. Training helps. #9 You shall use social media strategically with cause marketing. Businesses are using social media more than ever. It's important you keep pace with new trends and new technologies to solidify cause marketings place in the corporate marketing mix. #10 You shall not over complicate cause marketing. The tactics behind cause marketing aren't brain surgery. KFC's ambitions to make the single largest donation to a breast cancer organization hinges on a simple percentage of sale program (i.e. 50 cents from every bucket). Cause-related marketing really isn’t that difficult. Just handle the relationship, deliver what you promise, and provide value to your partner. Best of all, cause-related marketing is fun and exciting. The sooner you master it, the sooner everyone will benefit from its incredible potential. Unlike Moses, my 10 ten commandments aren't written in stone. Moses didn't have an iPhone so his weren't super easy to change. I'd love to hear what you would edit, add or delete. Last week showed that cause marketers need some commandments by which they should conduct themselves and execute cause marketing promotions. No one wants to get burned by another golden chicken.